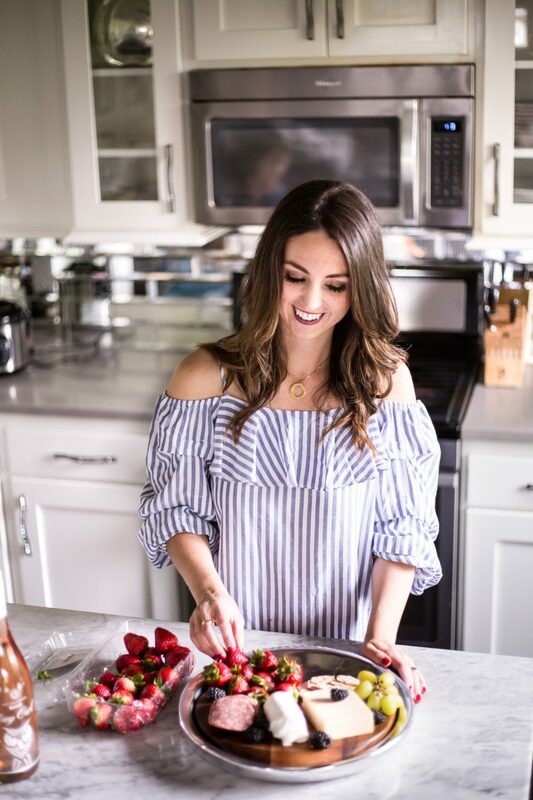 We’ve been getting into the Holiday spirit around our home! This year has been so much fun because this is the first year Miss E fully gets that it is Christmas. She has been SO into everything and I love it. 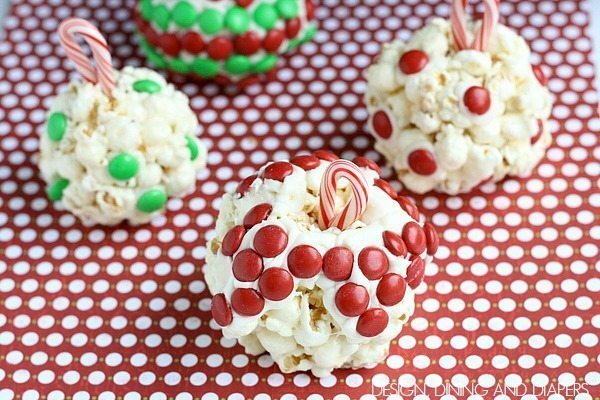 I’ve been trying to do more Holiday activities with her and the other day we decide to make popcorn balls but give them a little twist. 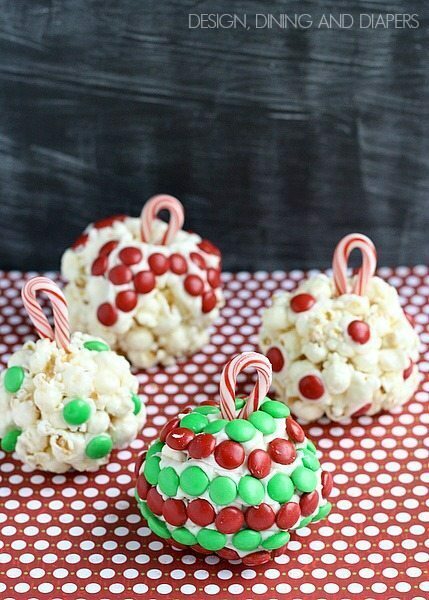 You could make these for many different occasions during the holidays. We just enjoyed making them as a holiday activity, but I think they would be cute to bring to a Holiday party or use them as place cards for a kid’s table. 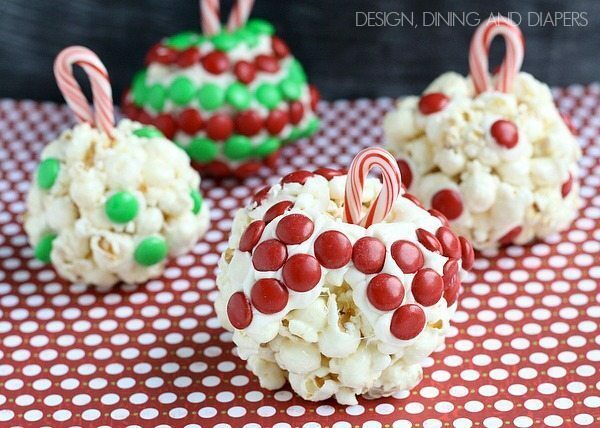 A new twist on the traditional popcorn ball! In a sauce pan, on low heat, melt together marshmallows and butter. Once melted, pour in the popcorn cup by cup and stir until coated. Remove from heat, let cool for 5 min. Grap a handful of the popcorn and form a ball. Gently place a candy cane into the center. It worked better if you gently twist it in. To make the frosting, combine powdered sugar, butter and milk in a bowl and mix with an electric hand mixer until creamy. Now decorate your ornaments to your heart's desire! 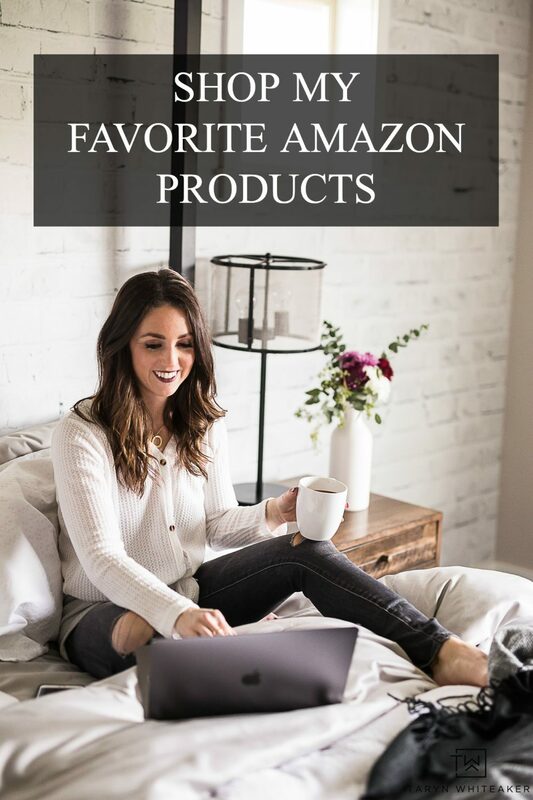 These are such a fun idea, Taryn! Can’t wait to make them with my kiddos!! 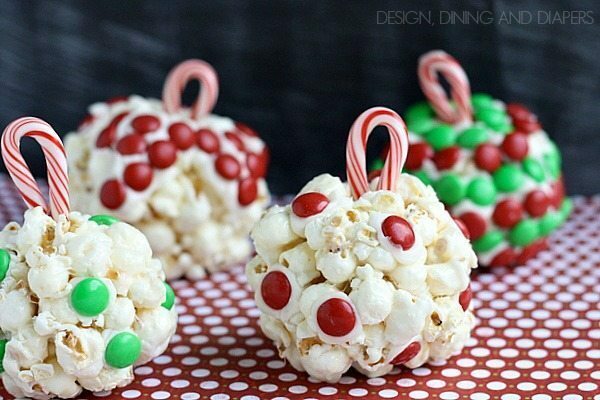 These popcorn ball ornaments are so cute! How creative!